Country-style breakfast is included. 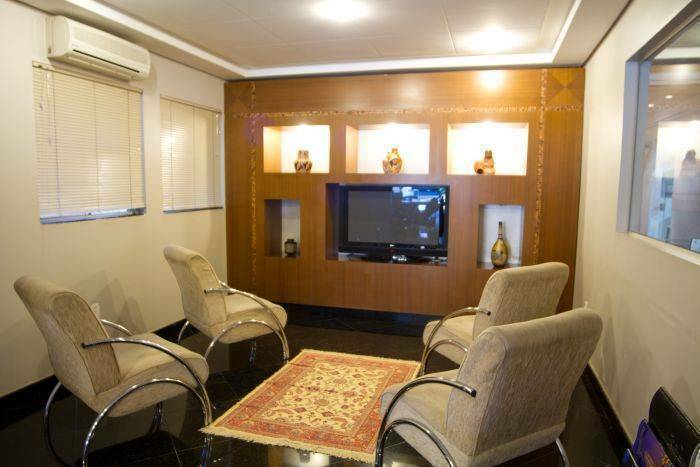 Our rooms are equipped with queen-size beds, cable TV, mini bars, air conditioners and telephone, 24-hour service is available , snack bar, swimming pool, games room, gym room, business center, free Wi-Fi Internet in the rooms, playground and free parking. Extra breakfast R$10, 00 per person. Kids up to 7 years old staying in the same room as their parents dont pay. The concept of Del Rey Hotel combines an internacional quality standard service, modern apartments in an informal and cousy enviorement. 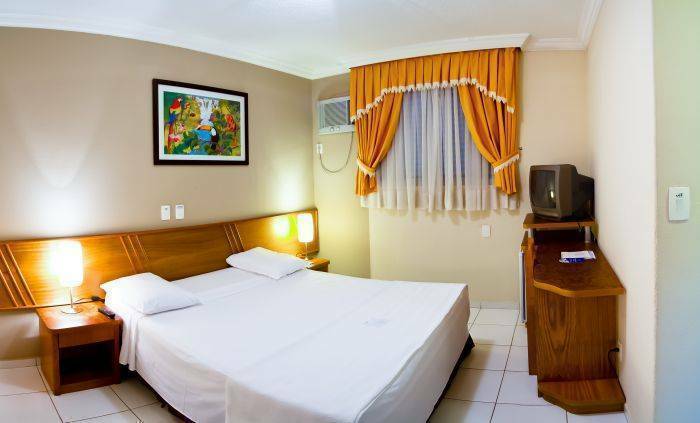 We are located at the heart of Foz do Iguaçu city, where you can find the public bus station, restaurants, banks, comercial stores, supermarkets, public and private organizations. 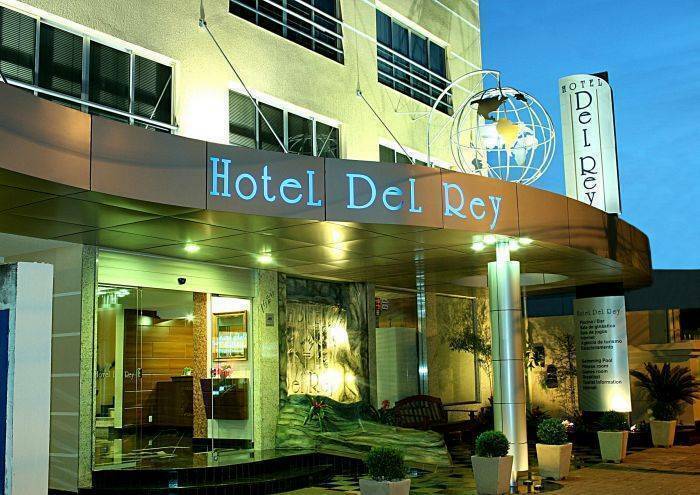 The Del Rey Hotel dispose of 40 luxury apartments equiped with air-condicioned hot/cold, frigobar, telephone with direct call, cable TV, private bathroom with hair drier, queen size bed, desktop, and free wi-fi internet access. 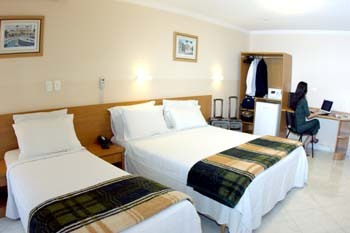 The Hotel also offers apartments for handicap. 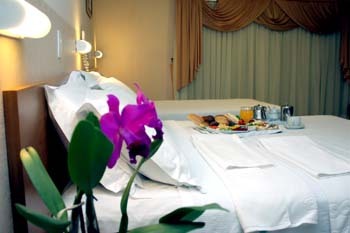 Facilities: Room Service 24 hours and free covered parking lot. 10 - No pets of any kind allowed.